My first commit to Cucumber was in 2008. Since then I’ve poured countless hours into the project and the community around it, whether directly as commits to the code, or answering questions on this mailing list, or writing blog articles. I am independent, so those hours have all been done on my own time. It’s a complicated question. 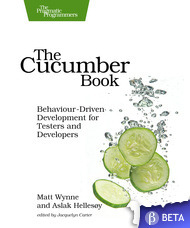 My consulting business is built around BDD, so I have a vested interest in the success of the Cucumber project. It’s more than that though. I have a firm belief that the difference between a software project that’s fun to work on and one that’s miserable is the communication between people. I’ve seen how Cucumber can improve that communication, or at least make it clear to people when it needs to improve. It’s not a silver bullet, but I do genuinely think it can help to make a software team more enjoyable to work on. I also love getting to collaborate with so many of you on code that nobody else owns, that we can all enjoy. I have a family now, and as anyone else with young kids will know, my time feels extremely precious. Yet I feel a responsibility to all of you to keep Cucumber-Ruby’s code healthy and full of the features you need. A couple of weeks ago Olaf Lewitz pointed me to this TED talk by Amanda Palmer about “The Art of Asking” and it occurred to me to ask all of you, if you appreciate the work I do on the Cucumber project, to consider making a regular donation to me on gittip. You can donate as little as 0.25 cents per week, but each contribution keeps me motivated and tells me you appreciate my work. 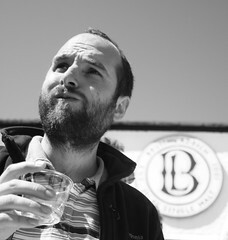 Posted by Matt on Friday, March 29th, 2013, at 3:32 pm, and filed under BDD. I would send you bitcoin. Every other payment method is too much of a hassle, pita, or expensive. Please publish a bitcoin address.